The Federal Communications Commission launched a new portal (fcc.gov/cyberforsmallbiz) Monday to help small businesses fight cybercrime. The site gives businesses tips on how to get a broadband connection, ten common sense computer security tips and a list of private and public sector resources on stopping cyber crime. 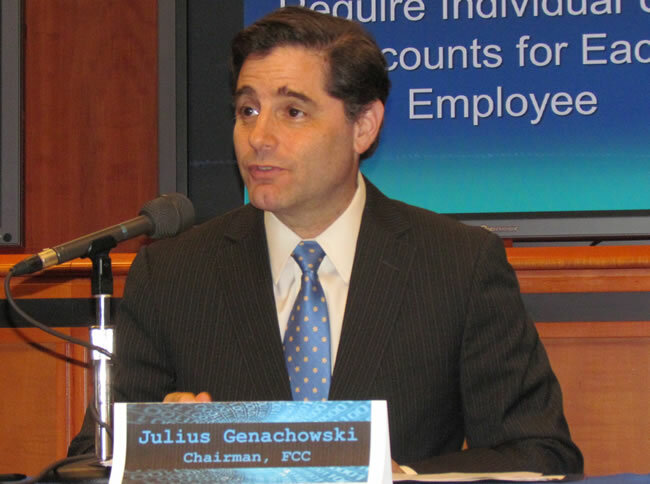 The launch was announced during a cyber security roundtable at the FCC’s headquarters as part of the federal government’s Small Business Week. The FCC reports that American small businesses lose billions to cyber attacks annually and 74% of small and medium businesses report being affected by cyber attacks in the past 12 months. The average cost of these attacks, is roughly $188,000 per incident. And to make matters worse, 42% of small and medium-sized businesses surveyed by the FCC report the loss of confidential or private data in the past 12 months and 40% report experienced direct financial costs as a result. Also, 47% of businesses report they do not ever back up their data.